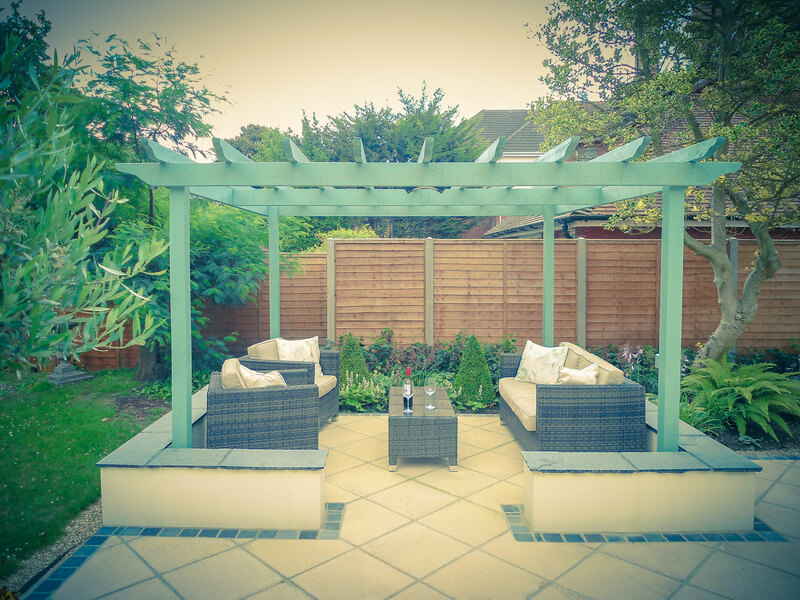 This client had no preconceived ideas of a particular style or layout, only requesting that the design incorporated somewhere suitable for family and friends to eat, along with a less formal relaxing area. 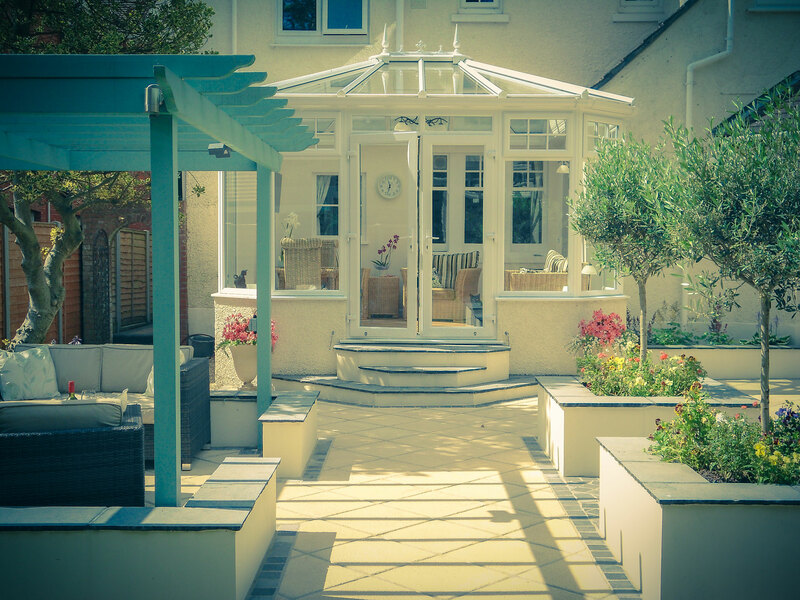 Their fondness of Lake Garda and the Italian style provided the inspiration for the design. 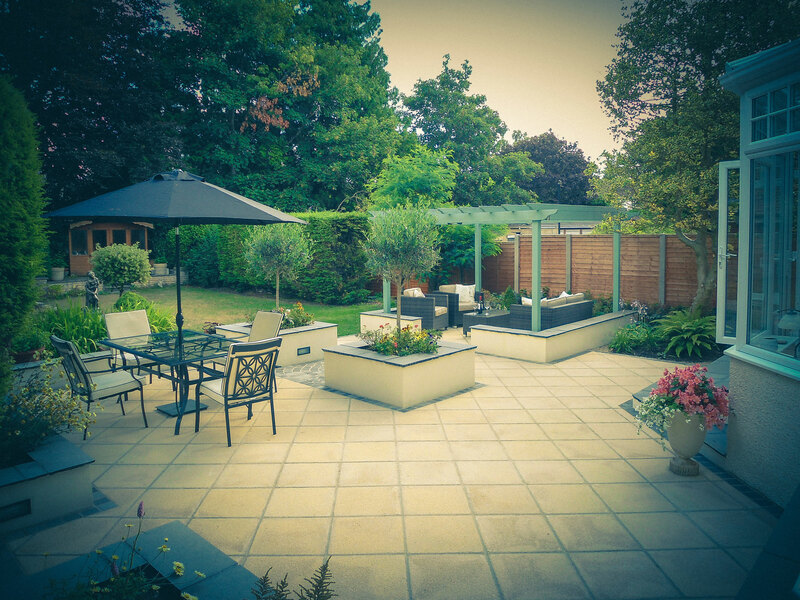 A formal layout with symmetrical, raised dividing walls creates two distinct, idyllic eating and relaxing areas. 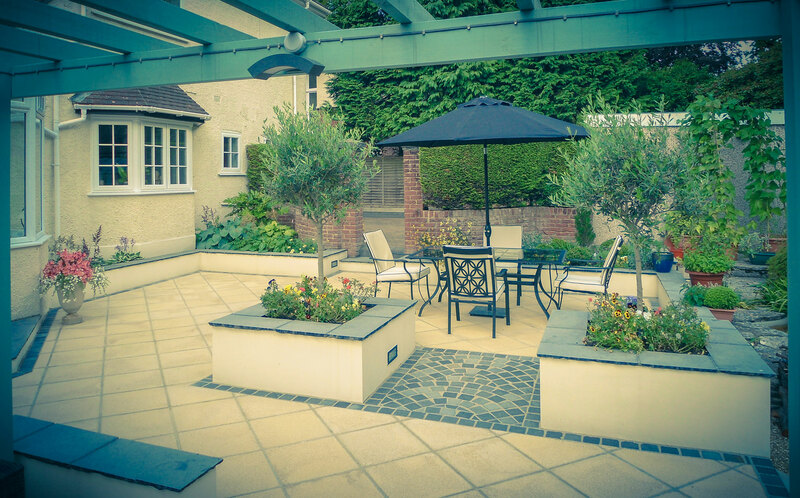 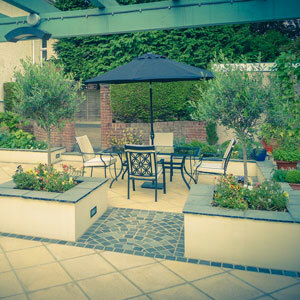 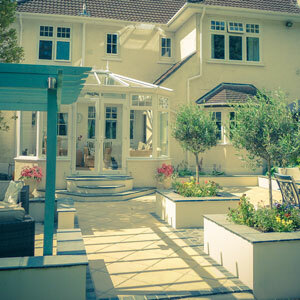 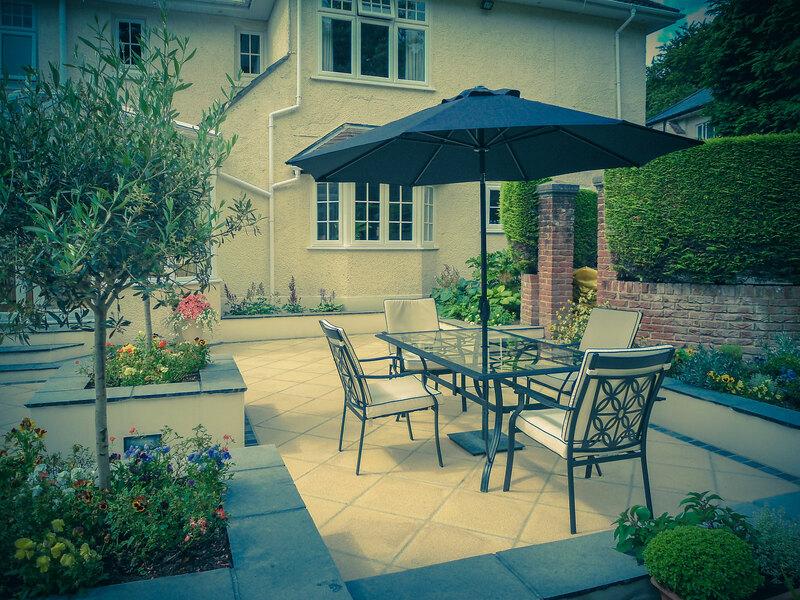 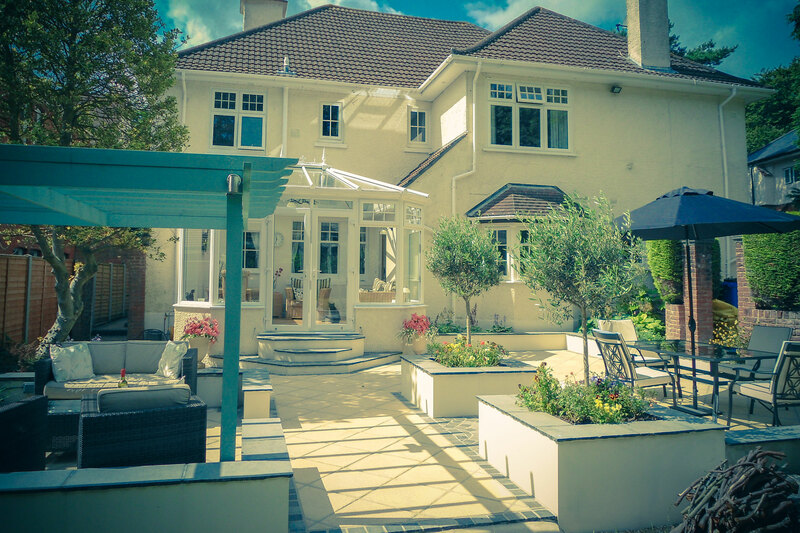 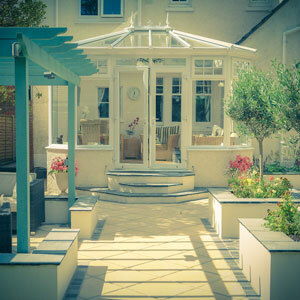 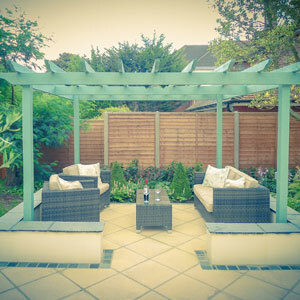 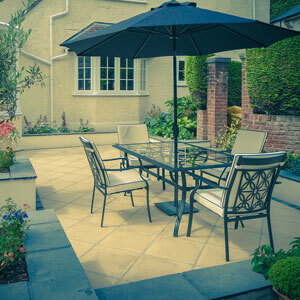 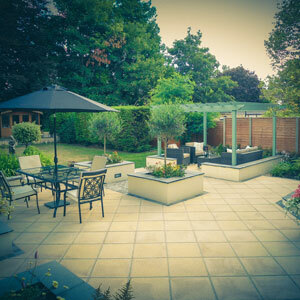 Two large, square raised planters with olive trees under-planted with petunias sit either side of a traditional fanned cobbled path, linking the entertaining areas, giving the garden a real feel of authenticity, whilst the contrasting black and white colour scheme keeps the design modern.